After many reader requests, I wanted to come up with a design for an easy sweater pattern for non-knitters. Knitting is one of my passions but, since I started designing at So-Sew-Easy.com I have had no time for it at all. But I do miss knitting. Often, I think of a dress or a top and I could picture it in my mind on a knitted kaleidoscope of colors. 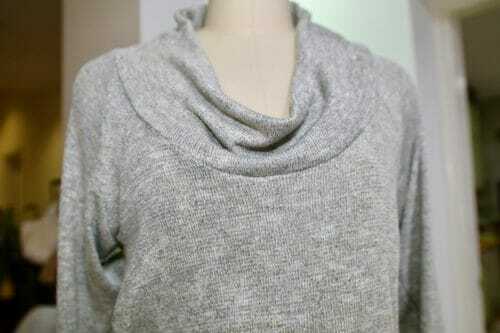 I love the fresh look of a soft cotton long sleeve knitted top, even in summer you can pull this look. 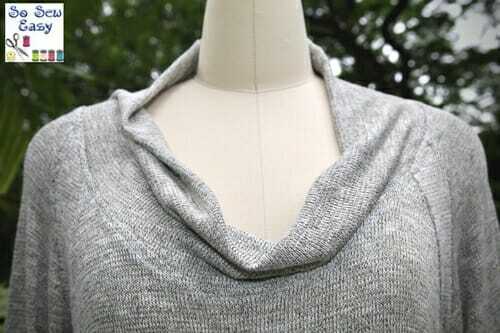 But winter is a special time to wrap yourself in a comfortable but elegant knitted top that won't break the bank. 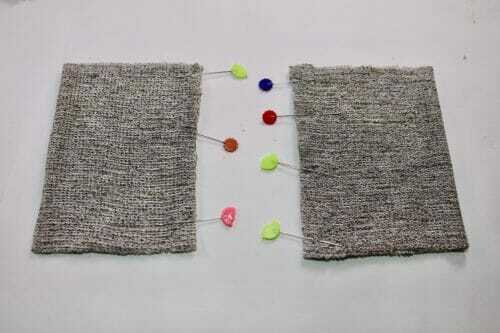 If you are lacking in time like me, here is an easy sweater pattern for non-knitters. This is an easy sweater to make, however, you do have to pay special attention to the pattern markings and the symbols on the pattern. 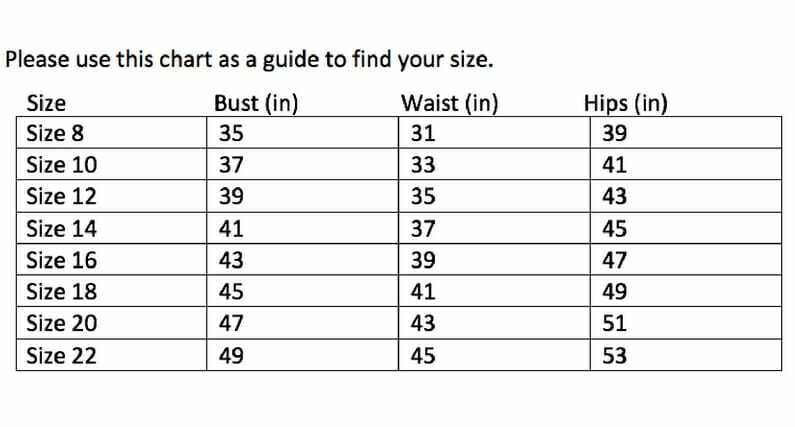 There are seven pattern pieces, plus two more you'll need to draft yourself depending on your size. To save paper and time I have not done this for you. These pieces are rectangles that will become the ribbing added to the cuffs and to the hemline. 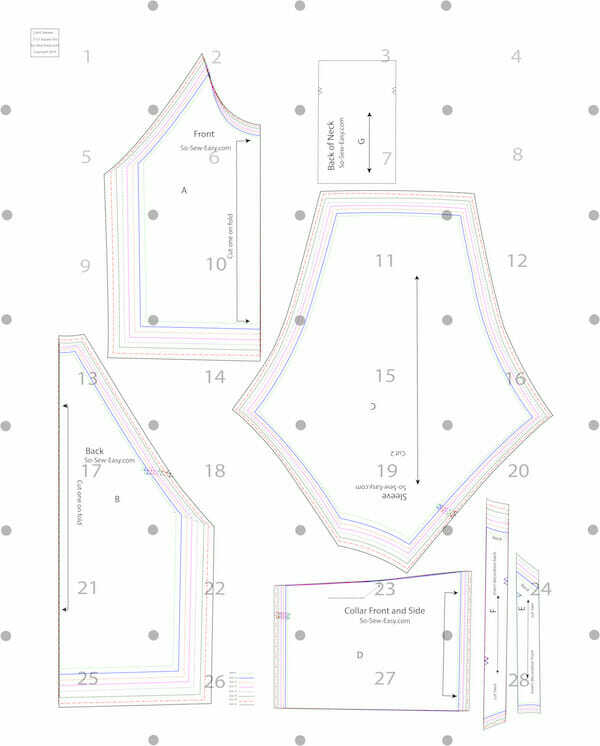 These pattern pieces are very simple to make and would be good practice if you're just starting out in sewing and patternmaking. Easy to wear and make, yet elegant. Casual kimono style sleeves and a draped neckline that is easily adjustable should you require a more modest cleavage. Can be worn off the shoulders. Perfect for a stroll in the park or tea with friends. Drapes well hugging your curves but not adding any bulk. You can download the pattern for this Easy Sweater Pattern for Non-Knitters from our account at Craftsy. Please note: There is no seam allowance to the pattern. 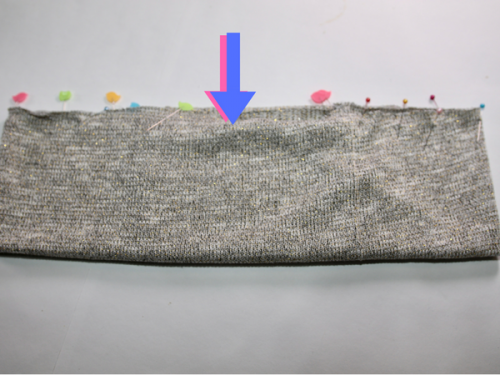 I recommend a 3/8″ seam allowance if you are using a 4 thread overlocker and a 1/4″ for the ribbing. The inserts are two pieces. One insert is shorter for the front and one longer for the back. Take pieces A (Front) and E (insert) and pin right sides together. I have marked the pattern piece so you know what way goes to the neckline. Sew at 3/8″. 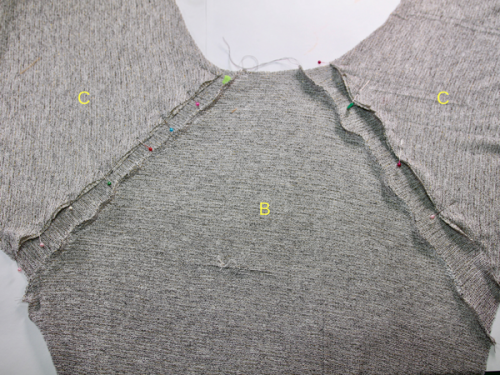 Take pieces B and F, pin to both sides and sew as you did previously. Use your serger or if you want, zigzag the seam allowance. Put aside. Step Two: Sew the sleeves and sides. 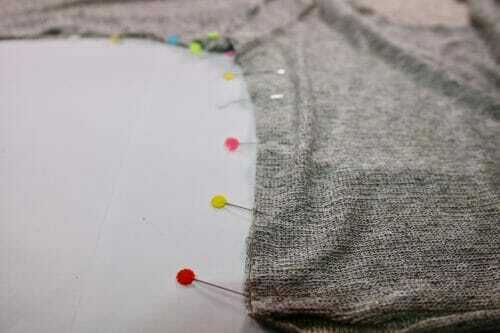 I recommend you pin both sleeves first then sew both at the same time. This is to reduce the risk of the fabric unraveling or losing shape due to excessive handling. Place the back wrong side up. You will know you have it right because you can see the seam allowance. 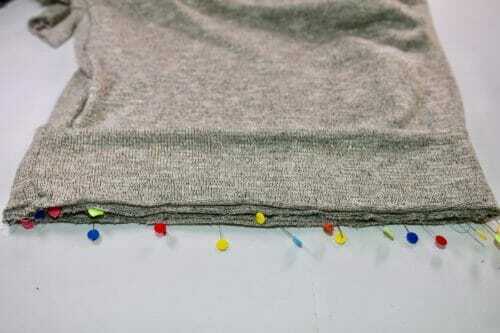 Pin the front of the sweater to the other side of the sleeves. Sew the sleeves to the back and front inserts. 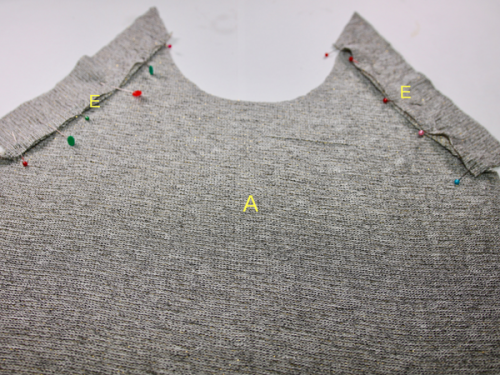 Pin the sweater right sides together and sew at 3/8″. Pattern piece D represents the collar. 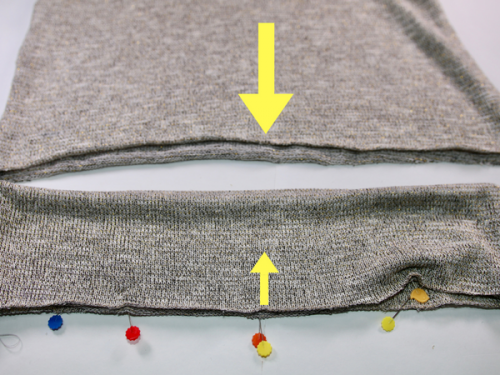 It is cut on fold which makes a piece long enough to be attached from the front all the way to the back insert (F) and the sleeve seam. Take pattern pieces D and G and sew at 3/8″. It is now a band. 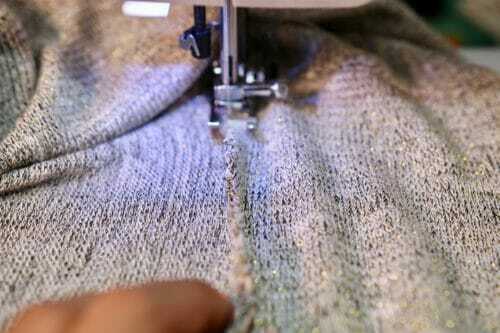 Keep seam allowances open. There is a notch on the pattern to let you know where the halfway mark is. Fold the collar in half. Remember to keep the seam allowances open. Mark the front and back. 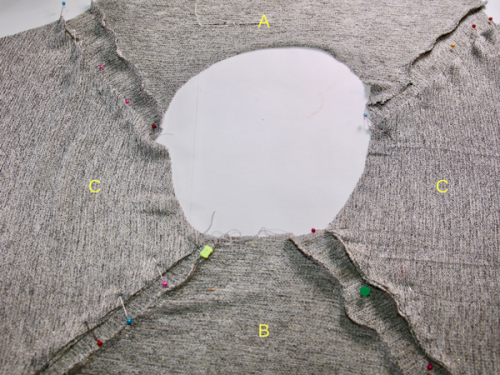 Align the front and back and the notches provided on the pattern. 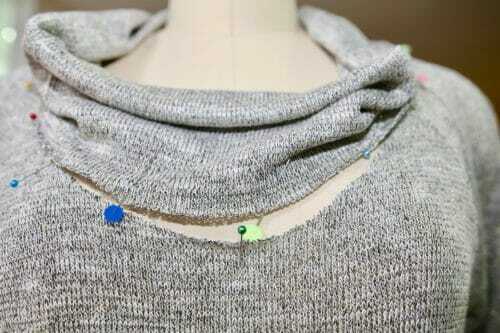 Align the front of the collar with the front of the sweater. 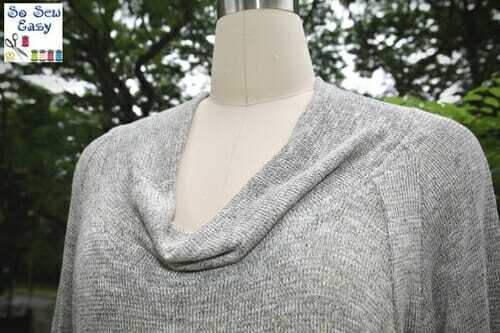 At first, the neckline will appear to be too big. Mark the middle of the front of the sweater. 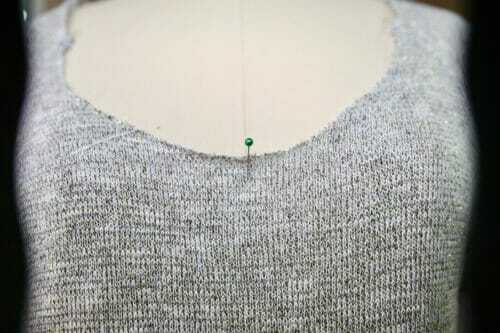 Align the notch on the collar to the front insert (E) and sleeve (C). You may have to pull the collar to fit the neckline opening just a bit. Zigzag or serge the seam allowance. 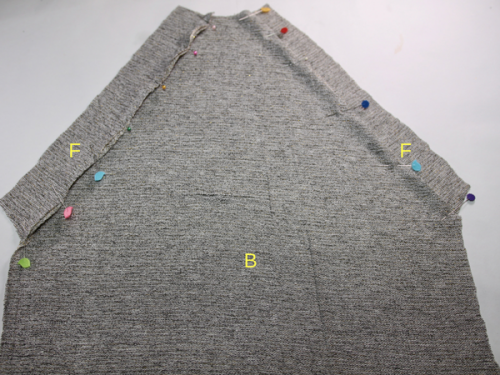 If you find the seam allowance standing up just stay stitch it to lay flat. 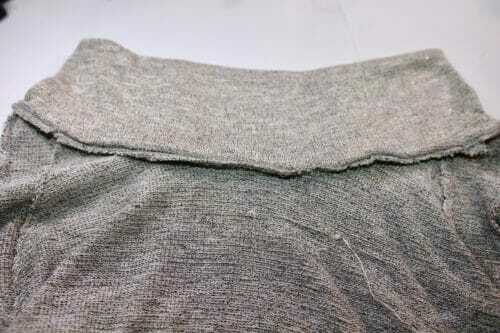 Hipline ribbing: The hipline ribbing is composed of two pieces: front and back. 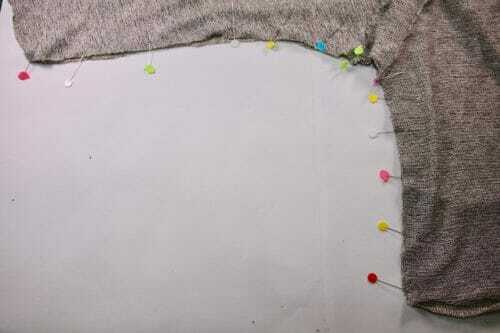 When we sew these pieces together the seams will match the sides seams of the sweater. Measure the hemline of the sweater. 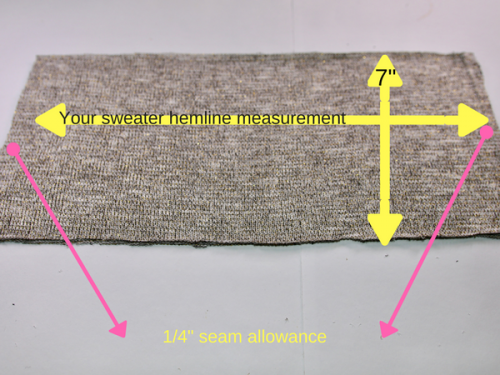 Create a rectangle that is 7″ x measurement of the hemline – minus 2″= hemline ribbing. Please add seam allowance on each side. 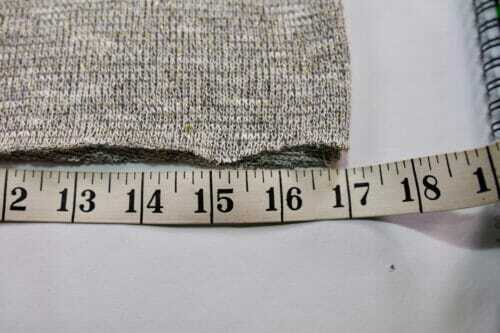 In my case, it is 34″ plus the seam allowance of 1/4 x 2 = 34 1/2″. My rectangle then will be 34 1/2″ x 7″. Cuff ribbing: We need two pieces for the cuff ribbing. 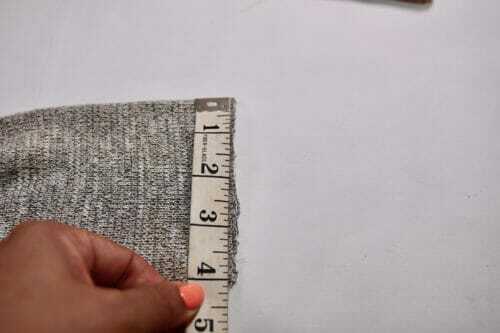 Measure the hem of the sleeve. 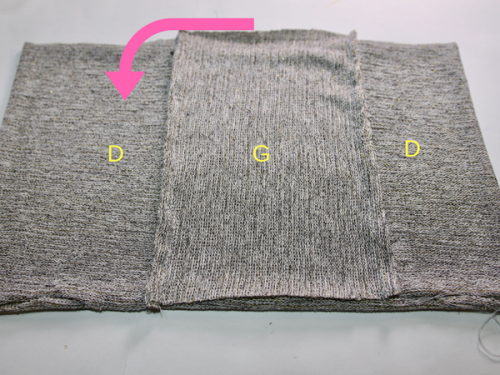 Draw a rectangle that is 5″ x the measurement of the sleeve – 1″= cuff ribbing. 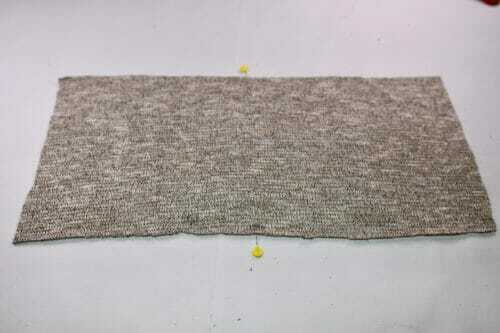 After cutting the ribbing sides, mark the center on both sides. 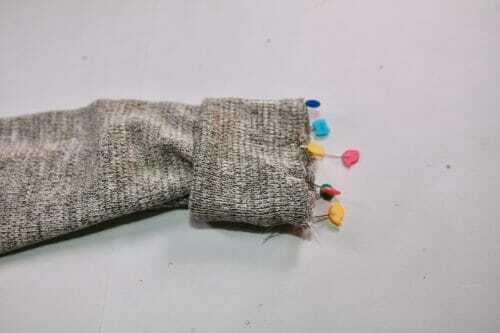 Sew the ribbing band at 1/4″. Open the seam allowance and fold in half. 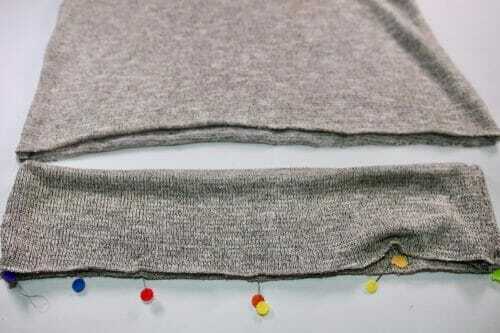 Lay the sweater and align the sides seams of the sweater and front and back of the sweater and ribbing. 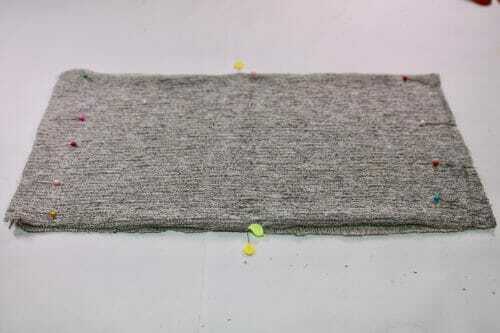 Pin the side seams of the ribbing to the side seams of the sweater. 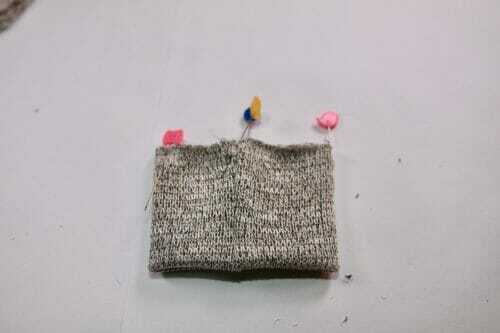 Pin the middle front of the sweater and the middle back of the sweater. You will have to stretch the ribbing to meet the four points. Sew at 3/8″. Zigzag or use your serger. Repeat the same procedure to the sleeves. Sew at 3/8″. Open the seams. Fold the cuff keeping the seams open. 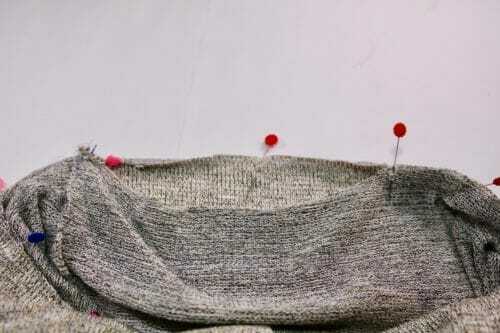 Align the side seam of the ribbing to the sleeve. Sew at 3/8″. Zigzag or serge the seam allowance. I think this easy sweater pattern will answer a few of the requests I've received recently. It is casual, yet elegant and good enough to wear with a nice skirt and boots or a pair of jeans and sneakers, jeans and heels, heels and shorts. It is one of those tops that can be a great traveling piece. Hope you enjoy it, let me know how you find the tutorial. Until next time! If you have a couple of rectangles of fabric left over? 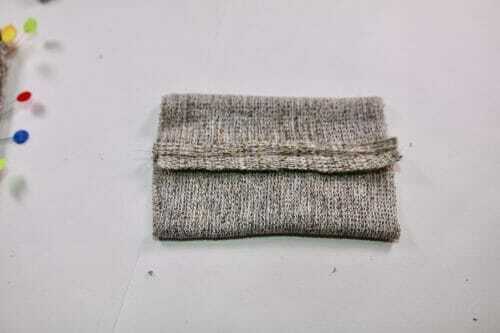 Why not try to make a headband that will only take you 15 minutes to sew. Hi Mayra, Just about to order some fabric online but realised you haven’t indicated the width of fabric required – just the 1.5 to 2.25 yards for length. I am tall and need to buy enough by the whole metre (most online stores in the UK only sell in whole metres). Also I already have far too many odd pieces that are too small to use! I see you predicament, too much or too little. However the amounts depend on the width of your fabric and the size chosen. The best thing would be to lay the pattern on piece of fabric as wide as the one you need and work out how much you need. Typically the wider the fabric the less you need. do you think I could make the cowl thicker or fuller?